Some graduate to pursue careers amid the courtroom drama. Others, the detailed intensity of transactional work. And others, to take their place at the intersection of business and law, lending legal guidance and support through a complicated multinational maze of laws and regulations, in an international arena. 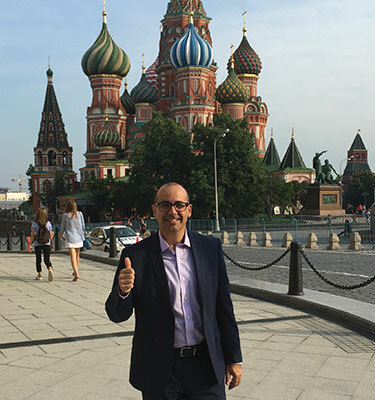 “If you thrive on uncertainty and navigating ambiguous waters, then it’s for you,” says Augusto Aragone, LL.M., ’06. A decade later, he’s the vice president and associate general counsel at Ingram Micro Inc., the world’s largest global information technology distributor. He is responsible, among a host of other duties, for providing legal support around the world to the $43 billion corporation’s mergers and acquisitions team. In 2015 alone, he was lead counsel or team member in the acquisition of São Paulo, Brazil-based Grupo Acao, one of Latin America’s leading IT providers, with operations in Brazil, Colombia, Argentina, Chile, Peru, Uruguay, and Ecuador; Odin Service Automation, involving over 500 employees scattered across the Russian Federation, North America, Europe, and Asia; a mobility insurance brokerage operation in Ireland, Singapore, Indonesia, and Thailand; and the largest value-added technology distributor in the Kingdom of Saudi Arabia. There have also been acquisitions of companies with operations in the Netherlands, Germany, United Kingdom, Spain, Portugal, Romania, Chile, Peru, and Turkey. Just to mention a few. Just in 2015. Growing up in Uruguay, he didn’t aim to be a lawyer. He played drums in bossa nova and jazz bands as a teenager, and dreamt of coming to the U.S.
By the time he started college, though, he moved to the beat of a different calling. Or two. He did. Then, love happened. Twice. Or, actually, three times. He met his wife (whom he calls “my support system”), got married at 19, and had his first child a year later. Work took priority, but school never stopped. That’s how he found his second and third loves. He was also discovering a passion for the law. So much so, that he decided to put the two together. As soon as he graduated from law school in Uruguay, the family moved to Italy, so he could get his first master’s, in transportation law. That’s also how he came to Miami Law. It did, leading to the job at Ingram Micro. He started as director and associate general counsel for the Fortune 100 company’s Latin America division, handling mergers and acquisitions, litigation, commercial contracts, employment and tax matters, and corporate governance, as well as advising on anti-bribery, export, and anti-trust compliance. In January of 2015, the company promoted him to handle mergers and acquisitions worldwide. Betsy McCoy, LL.M. ’07, found her way to an in-house practice with international responsibilities through a Miami Law LL.M. as well – by way of a housing collapse unlike any the world had ever seen. In 2005, she could see storm clouds brewing. “I knew at some point the real estate bubble was going to burst, so it wasn’t so much an if, but a when,” McCoy says. McCoy had built a Tampa practice representing lenders and developers, and she knew that real estate was cyclical. On a visit to Miami, she noticed its skyline filled with cranes. Returning to Tampa, she noticed the same thing. To her, it meant a downturn was inescapable. Born in Iowa, McCoy aimed for a career in law for nearly as long as she can remember. “So, in my six-year-old mind, being a lawyer was a goal that would please my dad and I adored my dad,” McCoy says. At the time, she says, trial work appealed to her. When her family moved to Tampa after she graduated, so did she, launching a practice of her own. She soon found herself handling litigation for the Barnett Bank Holding Company, then one of the largest networks of lenders in the state. Then came the trip to Miami, and the unmistakable tea leaves of the coming real estate crisis she saw dotting the skyline. She knew that loan structures had evolved. The loan documents of the early 2000s were different from those litigated in the early 1990s and before, she says. Many newer ones involved multiple layers of stakeholders, with hundreds of millions of dollars riding on the projects. At the same time that she was at Miami Law preparing for the bust cycle in real estate, The Related Group’s founder and its COO were too. She got her degree in 2007, and they asked her to come aboard for “a year, a year-and-a-half at the most” to help TRG transition through the hiccup. By early 2008, McCoy was ahead of the rest of the pack with a strategy to defend the company against significant losses and possible ruin. McCoy’s team litigated over 1,500 lawsuits and favorably negotiated, closed or settled another 1,500 or so. 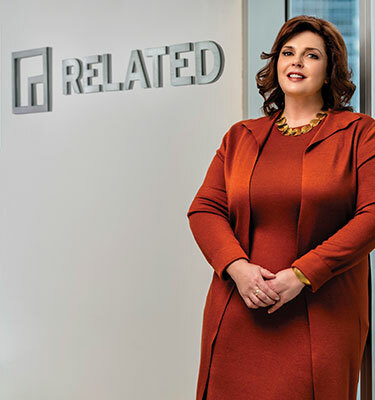 Her grand plan worked: TRG only suffered 12 or fewer judgments on the merits in court, and eight of those were due to a bad ruling in a federal court that has since been corrected by the Florida Supreme Court in an appellate case McCoy helped to strategize. Not one TRG project went bankrupt. McCoy’s days have not calmed down as the market rebounded. TRG keeps her on her toes as the company expands internationally with luxury projects in India, Mexico, Panama, Brazil, Argentina, and The Bahamas. And, as always, she is also polishing contingency plans that cover possible scenarios for the threats the real estate cycle may bring. 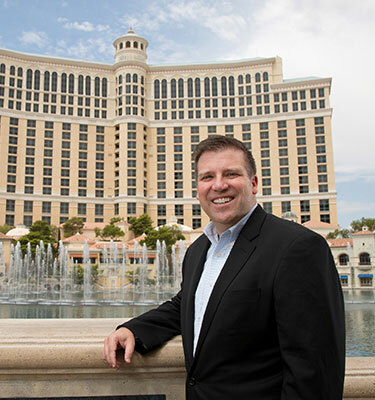 Planning and preparation are crucial, says John McManus, J.D., ’93, executive vice president, general counsel and secretary for MGM Resorts International. So is a clear understanding of the in-house counsel’s function. “You need to basically stay focused, understand that the role of the in-house attorney is to help advance the objectives of the business, and to be a partner with the business decision-makers, ” he says. “I like to work in a way where I present the risks, and as long as it’s nothing illegal, you’re framing the legal issues so that business decision-makers can understand them. At MGM, he does that, providing legal advice to senior management and the board of directors. In addition to the legal department, he is also responsible for oversight of the company’s compliance, corporate security, risk management and governmental affairs departments. That last means you’re likely to see him testifying before officials all the way up to the United States Congress. Originally from Maryland, McManus went to Vanderbilt University for undergraduate school. Miami Law offered him a scholarship and, well, Miami. Then, what happened in Vegas made him stay in Vegas. It may be fitting for a Vegas story, but he attributes much of the rest of his career to taking chances, and playing his cards right. Three years out of law school, he got his first in-house job, at the Sahara Hotel. “They advertised they were looking for an assistant general counsel, but the position was actually general counsel,” he says. Five years later, he moved to MGM. Two years later, he became general counsel. That makes him the chief legal officer for most of the MGM’s far-flung interests. That’s not just gaming, either. The company’s properties include condos, an entertainment company, retail outlets, most of the Cirque du Soleil shows, and, until recently when they sold it, a retail mall. Unexpected might describe how Guillermo Levy, J.D. ’00, got into the law. But it was an important work/life decision that led him to where he is today. He left UF after two years. His parents had gone back to Colombia. Levy headed to South Florida, and Florida International University, where his brother was studying. When he finished, he considered graduate school, but didn’t know if wanted to end up teaching. His future wife had a much clearer focus. She wanted to be a lawyer. Levy followed her lead, even though he wasn’t sure he wanted to be an attorney. 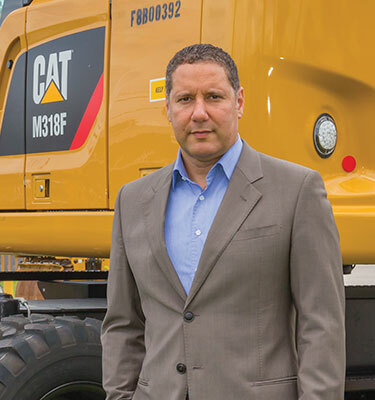 It took a stopover at another firm before he got it, but six months after leaving Steel Hector, he wound up at Caterpillar Inc., the world’s largest manufacturer of earthmoving machinery. He started in 2005, as counsel for its Latin American and Caribbean division, providing legal support for complex commercial transactions in the large power generation field, including equipment sales and engineering, procurement, and construction projects throughout the region. It’s a goal of global proportions. His experience at Miami Law, he says, made what he does now possible.